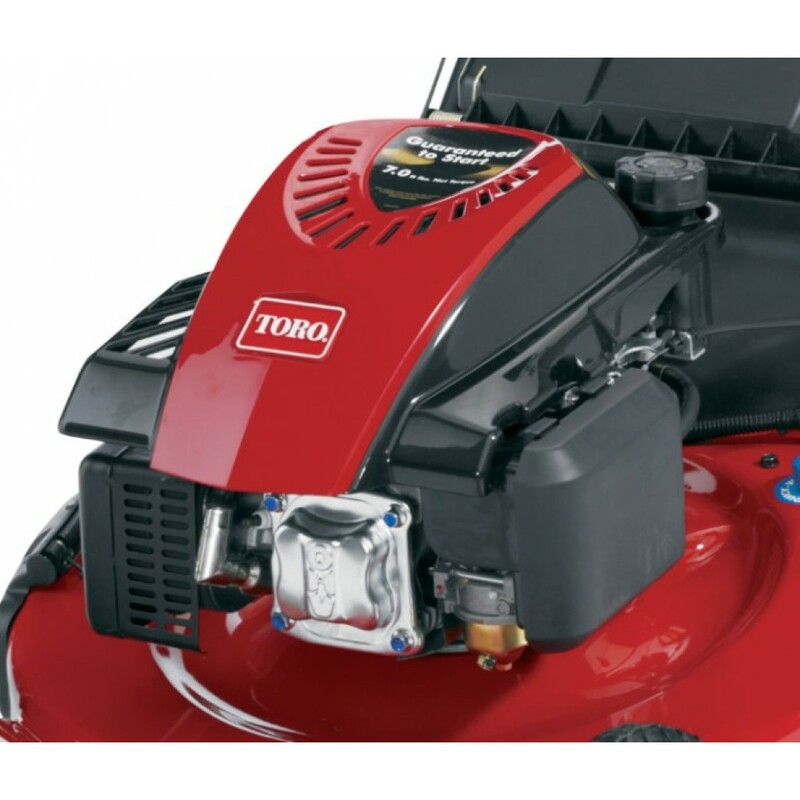 Toro's Personal Pace® self propel Super Recycler is one of our best selling lawn mowers. 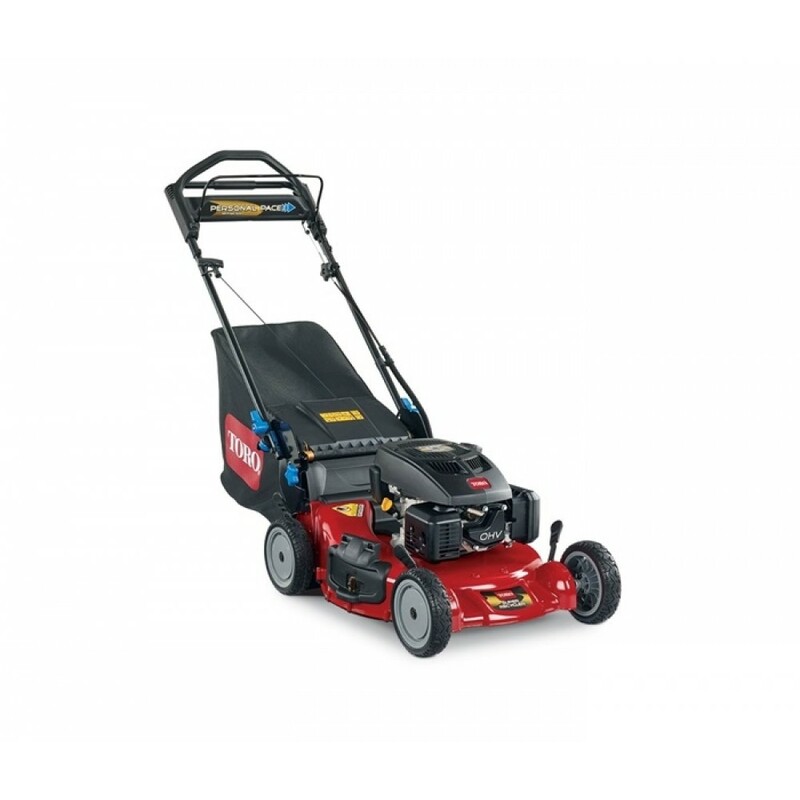 It features a Toro Premium engine, Quick Stow Storage Handle for compact, easy storage, a 5-Year Guaranteed-to-Start engine warranty plus 5-Year Full Coverage warranty and many other premium features that make mowing mower enjoyable. 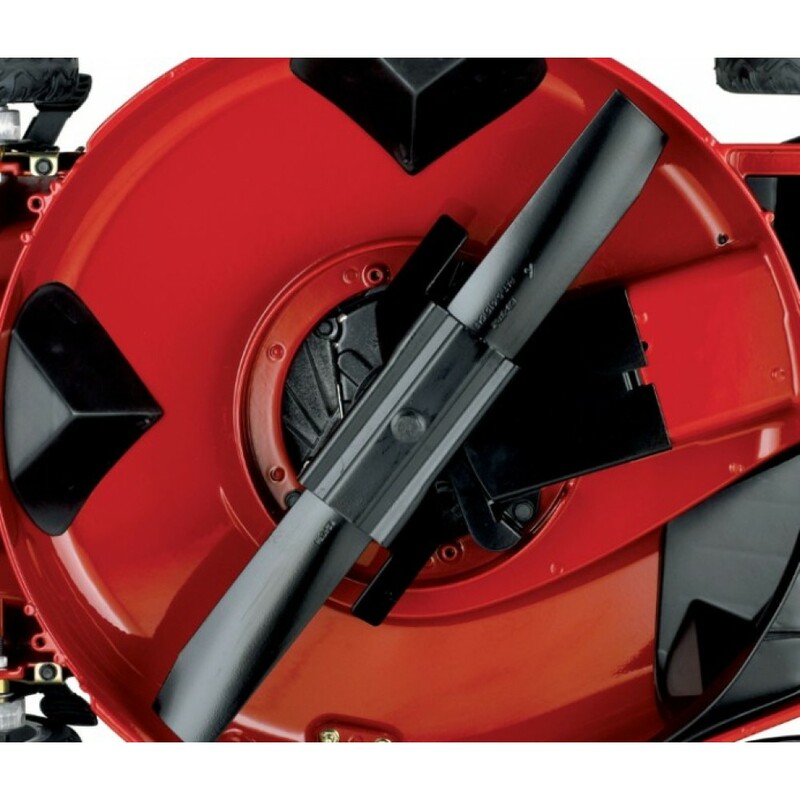 This mower also features Iso-Flex handle which helps with vibration and glides the height of the handle for the ultimate operator comfort and control. 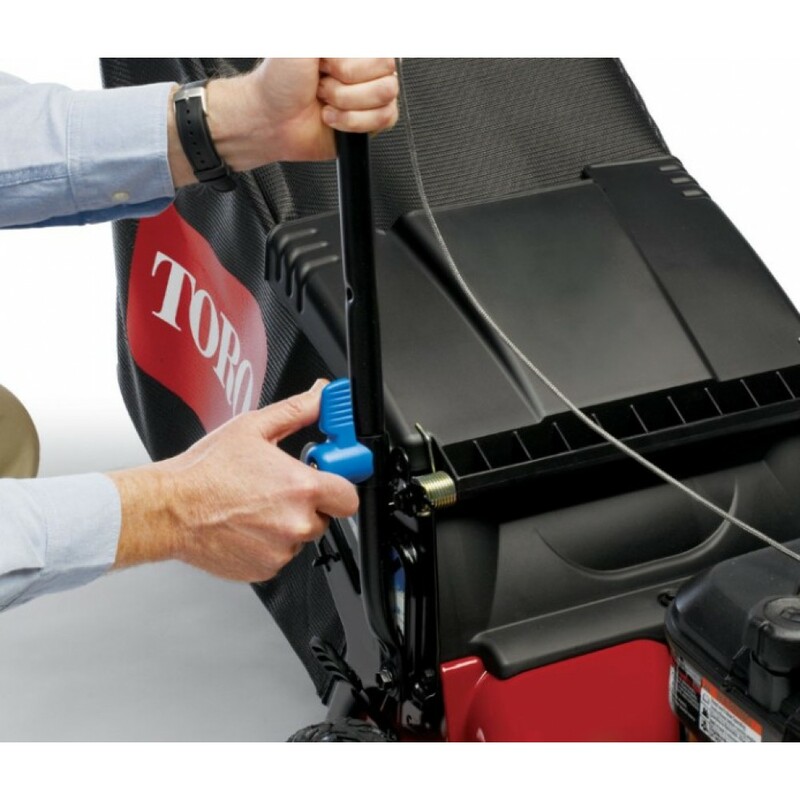 Super Recycler Cutting System- The patented Super Recycler cutting system features a veneered cutting blade, clipping accelerator and kickers that combine to give you the best cutting system Toro has to offer. 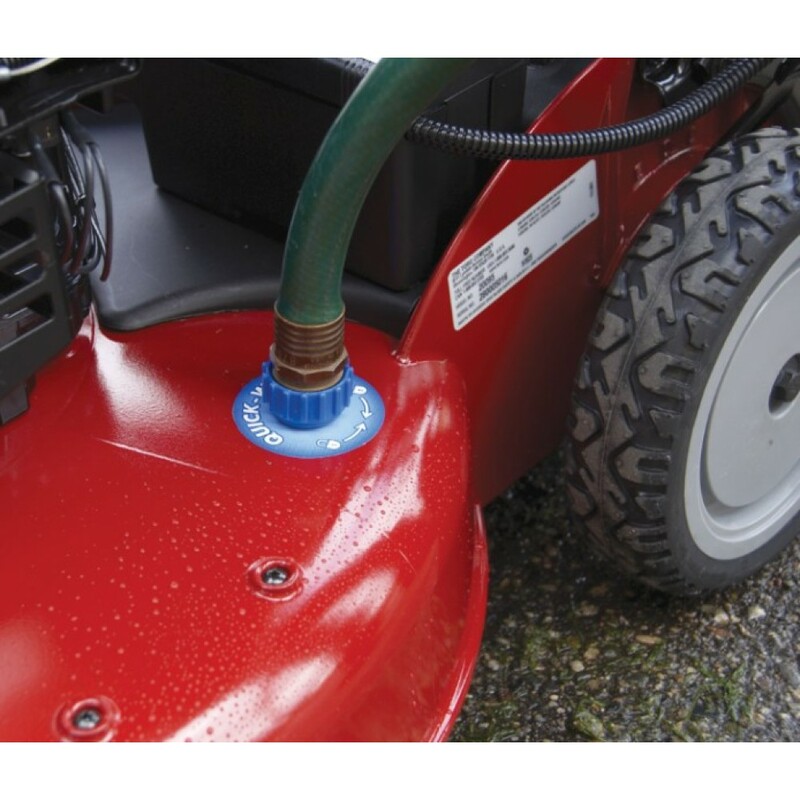 Cast Aluminum Cutting Deck- Durable, rust-free cast aluminum cutting deck converts from mulching, side discharging, or rear bagging without tools. 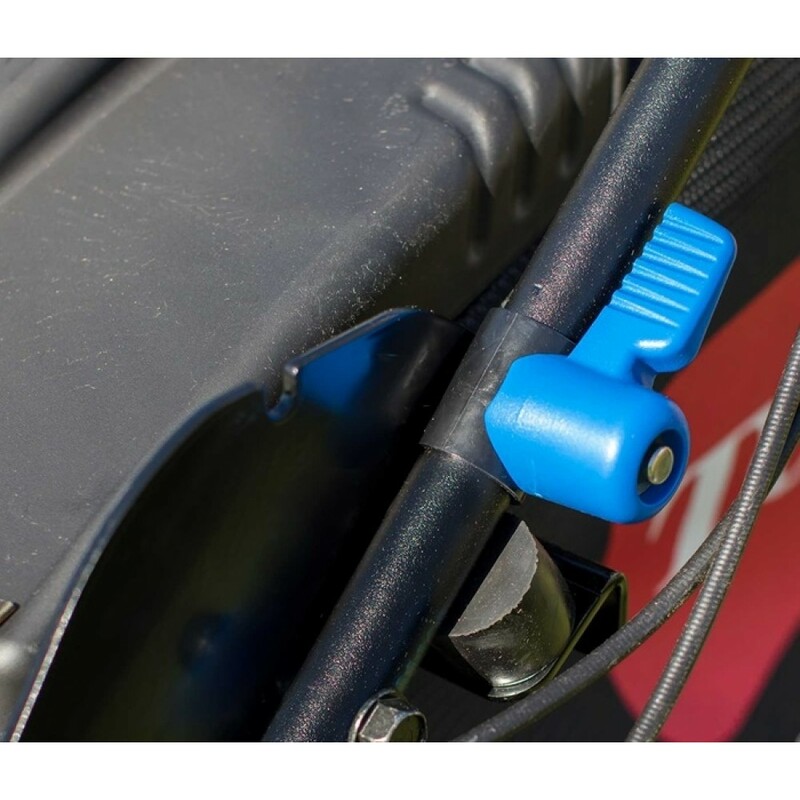 Quick Change Storage Handle- Easily and quickly raise the handle, by turning the blue knobs, for storing the mower upright in tight spaces. 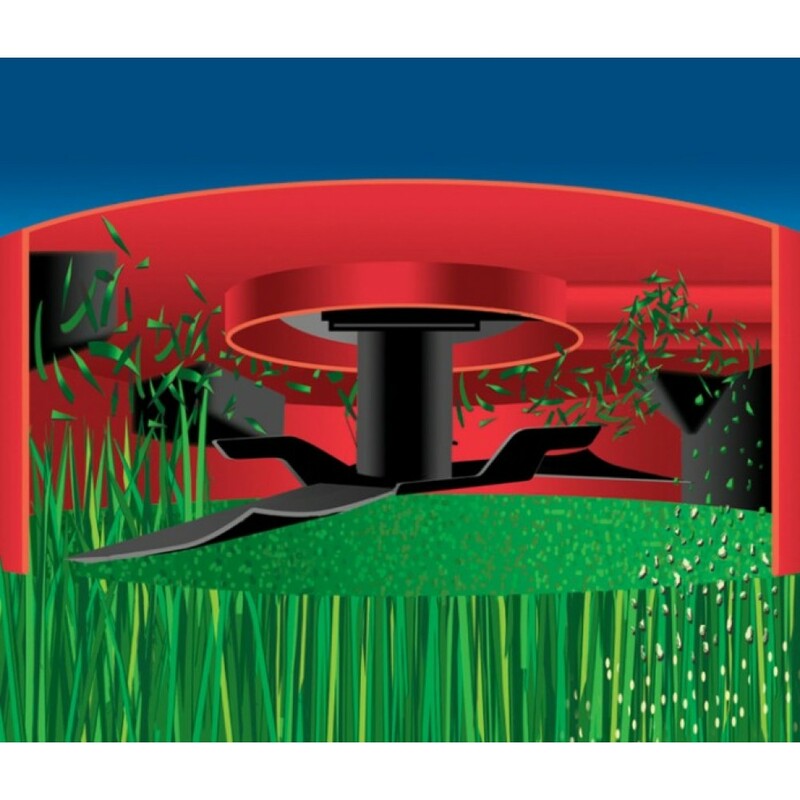 Washout Port- The deck washout port is a convenient way to clean the bottom of the deck - maintaining optimum airflow for high performance. 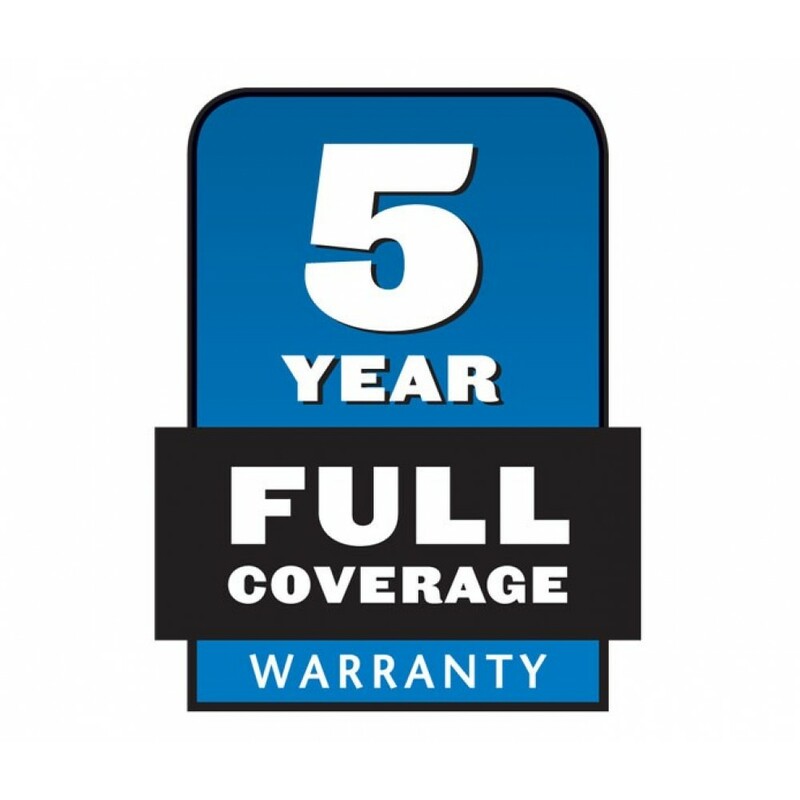 5 Year Full Warranty- If anything goes wrong within five years, under normal use and maintenance, Toro® will fix it free! 5-Year Guaranteed-to-Start- Starts in two pulls for five years or we'll fix it free!